A COLOSSAL asteroid hurtling through space is feared to be one of the biggest EVER to threaten a collision with Earth. The gigantic missile thought to measure almost a mile across will brush closer than previous monsters which have sparked a global panic. Worried astronomers warned 1999 FN53, which is an eighth of the size of Mount Everest, will skim the Earth in TWO DAYS. A collision would be nothing short of catastrophic triggering mass destruction, earthquakes and global extinction. The monster is more than TEN TIMES bigger than other meteorites currently visible on NASA’s Near Earth Object radar. It is also double the size of the gargantuan 2014-YB35 which had astronomers around the world watching the skies in March. Experts warn a collision would trigger an explosion similar to millions of megatons of TNT and would be capable of killing 1.5 billion people. It would be far more destructive than the 1908 Tunguska Event which saw a 50-metre lump of extraterrestrial rock crash into Siberia. It flattened around 80 million trees and sent a shock wave across Russia measuring five on the Richter scale. The event is held by scientists as a benchmark for the catastrophic consequence of an asteroid impact with earth. The gigantic lump of rock is travelling faster than 30,000 mph and will brush terrifyingly close to Earth on Thursday. Bill Napier, professor of astronomy at the University of Buckinghamshire, said an impact would leave unimaginable destruction. He said: “People are concerned about an impact from a very large asteroid, and the impact of something of this scale would be nothing short of global. “It is certainly one of the biggest on the radar, and much bigger than the Tunguska asteroid which was one of the most significant in history. “This is in a completely different ball park, we are talking about millions of megatons of energy, vastly more than was released in Hiroshima. “It would undoubtedly lead to the deaths of around 1.5 billion people, we are looking at a mass extinction of humanity. 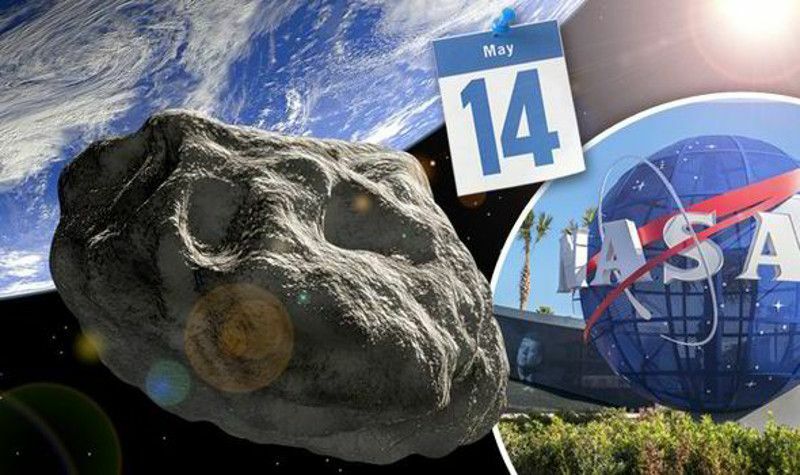 NASA’s Near Earth Object Programme puts the enormous lump of rock on course to pass within six million miles of Earth on May 14. In astronomical terms this is a tiny distance and close enough to prompt astronomers to keep an eye on it until is passes safely. Its exact size is still unclear though it is estimated to be between 580 metres and 1.3km wide – most likely around 680 metres. In a statement NASA said: “1999 FN53 was discovered on 1999 Mar 31 by the Lowell Observatory Near-Earth Object Search (LONEOS). “It has an absolute magnitude of 18.3 suggesting a diameter within a factor of two of 680 metres but otherwise its physical properties are poorly known. Astronomers have named June 30 as Asteroid Day to highlight the dangers of Potentially Dangerous Asteroids (PHAs) hurtling through space. Initiative co-founder Grigorij Richters warned there are thousands which have not been identified which could ”destroy life”. He said: “It just takes one asteroid to completely destroy life, not just humanity, but all species.